Commendable effort in attempting to recreate early 70's Canterbury feel, but sadly, the end result falls rather short of expectations. Obviously, the band must have heard of Soft Machine, and perhaps even of Matching Mole, but the reality is that with even Hugh Hopper guesting, the music reminds of less memorable moments of those peers released 40 years earlier. Back then when the release of every album was eagerly awaited and sometimes pre- ordered, artists could afford to indulge in longer, meandering compositions. Side long tracks building up slowly, then concluding without much substance in the middle were accepted then. Fast forward 40 years and with the glut of music is now available, such approach no longer seems to be adequate. I gave this album a few spins and it had grown on me - if only marginally - but failed to leave a lasting impression. GLASS appears to have fallen in the trap of not realizing that an indulgent approach is no longer sufficient to raise much admiration. Those days are over. The use of an old church organ in France at the start is a clever choice. Unfortunately, it fails to take full advantage of the full potential of the rich timbre of such instrument would have afforded. The end result is akin to a half-cooked gourmet meal that already smells good, but left unfinished. Following that, we reach indulgence territory of often aimlessly meandering sound with the odd, livelier passage thrown in. A Ratledge-like riff on keys is frighteningly close to what has already been released by Soft Machine and it has raised my eyebrows. Not sure what to make of it, is it a tribute to SM, or blatant copying? 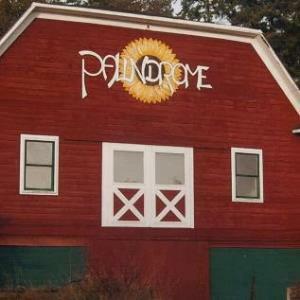 "Palindrome" is a mildly enjoyable work, nothing disturbing there, but boredom sets in early in the scene. I appreciate the intent, but this work is amongst the least memorable associated with Canterbury. I can't go above a 3 star rating here.